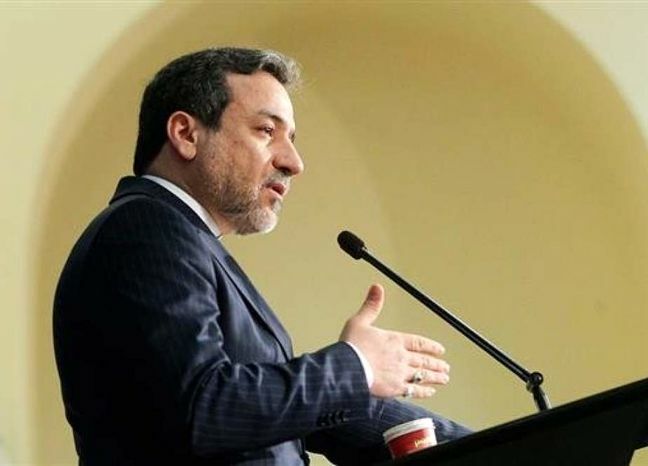 EghtesadOnline: Deputy Foreign Minister for Political Affairs Abbas Araqchi traveled to Paris on Monday for the sixth round of Iran-France political consultations. He was set to meet French Foreign Ministry Secretary-General Maurice Gourdault-Montagne for the talks on Tuesday, ISNA reported. Besides political and regional issues, other areas of mutual interest as well as the newly-registered financial mechanism to facilitate trade with Iran were on the agenda. Iranian and French officials meet regularly every six months in Paris and Tehran within the framework of a memorandum of understanding signed between the two countries during a visit to Paris by President Hassan Rouhani in 2016, Financial Tribune reported. France has been an active player in efforts to save the 2015 nuclear agreement after the United States unilaterally abandoned it and reimposed sanctions on Tehran. It offered to host the proposed payment channel, aimed at circumventing American sanctions, after other European countries refused to establish the headquarters on their territories for fear of US penalties. France, jointly with Germany and the United Kingdom (E3), announced last week the registration of the trade vehicle named INSTEX (Instrument in Support of Trade Exchange). The mechanism aims to preserve the economic provisions of the Joint Comprehensive Plan of Action (the formal name of the nuclear deal) for Iran. Nevertheless, differences over Iran’s missile program have soured Iran-France relations. French Foreign Minister Jean-Yves Le Drian said in late January that his country would impose further sanctions on Iran if no progress was made in talks over its ballistic missile program. “We are ready, if the talks don’t yield results, to apply sanctions firmly,” he said. Iran maintained that its “missile capability is not negotiable”, reiterating that “any sanctions by European countries would lead to a reevaluation by Iran of its interactions with those countries”. A United Nations Security Council Resolution endorsing JCPOA calls upon Iran to refrain for up to eight years from work on ballistic missiles designed to deliver nuclear weapons. Iran denies its missiles are capable of carrying nuclear warheads. Despite being officially registered, whether INSTEX can eventually serve Iran’s financial interests remains doubtful. Based on the E3 statement, it will become operational after the details are worked out and an equivalent entity is established in Iran which, according to Araqchi, might take about two months. Besides, the mechanism’s full operation has been made conditioned on Iran’s implementation of reforms to bring itself into line with the guidelines of the Financial Action Task Force, an international entity that monitors money laundering and terrorist financing worldwide. The FATF-related laws are under review by relevant bodies in Iran, which have not yet reached consensus over their details. Araqchi was set to discuss the complications with his French counterpart during the visit.